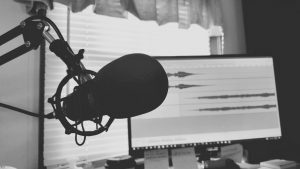 If you’ve invested serious time and money into writing and recording music to the very best of your abilities, the last thing you’ll want to do is throw it away through a poorly-executed radio submission. Many bands and artists are unfortunately completely clueless when it comes to engaging the industry. However, a small amount of preparation can set you apart from the submission scrapheap and seriously advance your career. 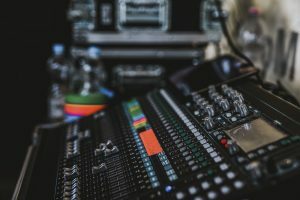 Whilst it might sound obvious, you’d be amazed how many bands and artists fail before they’ve even started by submitting to a poorly-targeted radio station. Simply put, if you are a newly-established death metal band, don’t submit material to a hip-hop station that exclusively promotes established artists. Make sure you take the time to research each station so you can make sure they’re playing artists that are similar to you in terms of both size and genre. In addition, take some time to learn a little bit about each station to see how you can tailor your pitch; are they a family-run station? Do they have any connections with other industry operators? Are they only interested in promoting artists from a certain area? Compile a spreadsheet with the name of each suitable station, their social media links and a couple of pieces of information about the station. This’ll give you something to refer back to once you’ve done the research and are ready to submit. Once you’ve found a set of suitable radio stations to target, become an active fan of each station for several weeks before submitting anything. Listen to the show, become active on their social media and engage with the other artists. It’s important to take a genuine interest in the station and not expect them to directly provide you with anything in return; in other words, don’t push your music on them at this stage. However, this approach can really make you stand out from the hundreds of other artists when you finally do submit. 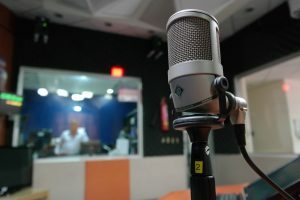 Remember that independent radio stations are often operating without any significant income and are relying on the artists themselves to keep the show going. Therefore, they’re much more likely to give sustained airplay to artists who are willing to promote and support the station. Make sure it’s new: If you’re promoting a new release, it makes sense to submit material from that same release. If you’re an emerging or independent artist, it’s also likely that the quality of your work will be improving by the release. Therefore, it can be assumed that there’s a high chance your newest music will be your best. Make sure it doesn’t exceed 3:30: The average station receives dozens or even hundreds of submissions each week and each show will be jam-packed with material. Therefore, your average radio station will often be more drawn to songs that don’t ‘waffle’. Whilst you might think that your seven minute-long song is the best one you’ve got, the radio station simply won’t have time for it in an average show. If you’re writing new material with the intention of submitting it to radio, it’s worth aiming for a time cap of around 3:30 to maximize your chances of airplay (or at least producing a radio edit). If you’re a pop or rock artist, adhering to a time limit will also naturally cut a lot of unnecessary ‘waffle’ in your material, which in turn will make your music come across as much more professional and convincing. Keep it clean: An obvious one. Most radio stations are unlikely to play your material if it’s full of swear words or controversial subject matter. If there’s an exception to this rule, it’ll generally be stated on the show’s site or social media channels. Biography: You should include a biography that’s approximately 300 words. Be sure to include your location, influences, current focus and any upcoming events. Make sure you keep it concise and relevant; the presenter doesn’t need to know that you started piano lessons at the age of two or that your drummer has a cat named Tabby. If you’d like some more guidance on how to write an effective biography, check out our dedicated article. Quick description of the song: Give a brief outline of the song and provide some background information on the lyrical content. This should add some context to the track and give the presenter something to add if they choose to play it. As mentioned with the biography, be sure to keep it concise and relevant. Promotional photo: Some radio stations will want a promotional photo to feature on their social media channels. Even if they don’t, it’s a great opportunity to leverage your visual identity and provide further context to your music. Make sure you get the ‘all-clear’ from the photographer beforehand and give them credit in your press kit. Website/Social media links: If the station decides to play you, it’s likely they’ll want to shout you out on their social media. It’s also worth making sure your social is both coherent and easy to navigate. If you’d like a few more pointers on how to use social media to your advantage, check out our article on how to promote your music successfully on the internet. Song download/streaming links: This will also be included in your pitch email. However, as emails can often get lost or jumbled up, including direct links in your press kit will ensure the presenter won’t have to go searching for anything. Email is the primary means of contact within the music industry. Some stations will make it clear on their website or social media channels what they require from you. However, many stations will simply provide you with an email address or a contact form. Include your artist name, song title and the word ‘submission’ in your subject line: An example would be ‘DEEP PURPLE – SMOKE ON THE WATER – SUBMISSION’. This makes it easy for the presenter to find your email and categorise it accordingly when sifting through their inbox. Explain your relationship with the station: If you’ve taken the advice from phase 1 and become an active fan of the station, it’s likely they’ll already know who you are. However, give a bit of an overview on how you found the station, how long you’ve been listening and maybe a comment about a recent show. Again, make sure you keep this genuine and not overly-gushy; people will see straight through it if it isn’t genuine. Pitch your song: Let them know you’d like to submit the track for consideration and give a brief overview of why you’re submitting the track (for example, if you’ve just released it as a single). Attach a WAV file of the song as well as your press kit: Explain in the email that you’ve attached these and give a brief summary of what you’ve included in your press kit. Thank the station in advance: Rather self-explanatory, but gratitude and good manners go a long way and show a good sense of professionalism. If you’ve received the news that you’ll be played on an upcoming show, congratulations! However, the work isn’t over yet. Make sure you promote the show several times on social media in the run-up to the feature. In addition, share/retweet any posts by the station that tag or mention you. As previously mentioned, stations are much more likely to give sustained airplay to artists who are willing to provide continuous support and promotion. Once you’ve been played, it’s well-worth sending an email thanking the station for the feature and wishing them well. This only takes a couple of minutes, yet goes an enormously long way and again displays a sense of real professionalism. This is a step that almost no one takes, despite the fact that it can seriously advance your career. Make sure that you continue to support the station after you’ve been played, even if it’s just putting a show on in the background one evening or retweeting a couple of their tweets. It’s worth emphasizing that this is a step that requires minimal effort, yet offers significant reward. As music is very much a ‘who you know’ industry, continuing to stand out by showing your support means you are planting a seed that could truly flourish over time. You never know when a connection could come through for you or a recommendation could be made.